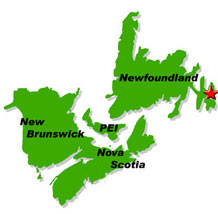 NORD Marine Services Ltd. is a Newfoundland & Labrador based company involved in the business of sales and service of marine, environmental response and military equipment and supplies. Nord Marine Services Ltd. is located in Mount Pearl just outside St.John's, Newfoundland, Canada (pictured above). The facility includes a showroom, offices and service depot. A certified dealer/service center of FitzWright immersion suits, Nord Marine Services offers competitive rates on inspections, servicing and sales of a variety of suits as well as liferafts and other safety equipment. Nord Marine Services Ltd. is a proud Service Station for FitzWright Liferafts. Our business is ISO 9000 Registered and is managed to comply with strict quality control standards set out by Transport Canada (TC), International Marine Organisation (IMO), Safety of Life at Sea (SOLAS), Det Norske Veritas (DNV), as well as the rigorous operations and training standards set in place by our various equipment manufacturers.